Space inside a smartphone is precious; here's how much the Galaxy S9 headphone jack takes up. There were howls of protest when Apple left the 3.5mm headphone jack out of the iPhone 7, but it was really just another example of the company being ahead of the competition. Arch-rival Samsung is reportedly going to be the next to eliminate this single-use port from its flagship phones next year. The change will start in Fall 2019. Next spring’s Galaxy S10 won’t be included in the change, so the first Samsung device without a headphone jack might be the Galaxy Note 10, with the Galaxy S11 to follow, according to etnews. This information reportedly leaked out of the network of smaller companies that supply parts for Samsung handsets. The Korean giant has said nothing about plans to eliminate this 3.5mm port. After eliminating the dedicated headset jack in 2016, Apple included a Lightning-to-headphone adapter for two years, a practice that just ended with the iPhone XS. Samsung is allegedly going to follow suit, including an adapter that will allow headphones to plug into a USB-C port. But the real alternative Apple — and supposedly Samsung, too — want users to embrace is wireless audio. Bluetooth headphones are widely available, and relatively cheap, However, fans of wired headphones claim the wireless alternatives offer inferior audio quality. 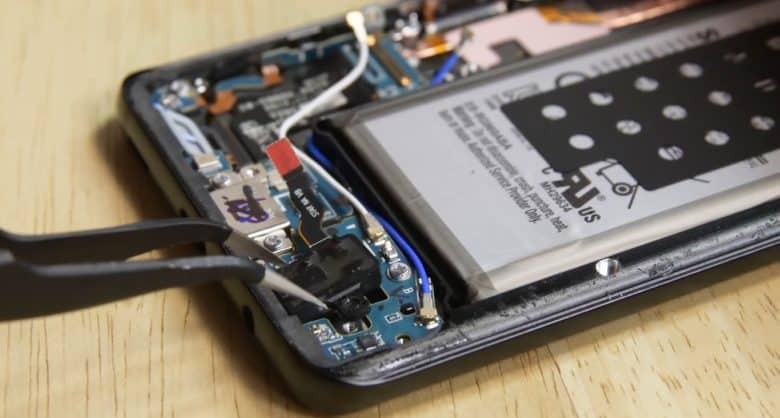 Cutting out the headphone jack will free precious space inside the chassis of future Samsung models for other features, like bigger batteries.